What is black granite? In the United States, retailers and wholesalers sell slab stones under the category of “granite,” but not all of those stones are composed of granite. Specifically in the area of “black granite,” you may see stones that are actually gabbro, diabase, basalt, and others. These minerals all share the same material characteristics, so the industry lumps them together as “black granite.” That said, black granite is an excellent choice for countertops, due to their rich colors and durability. 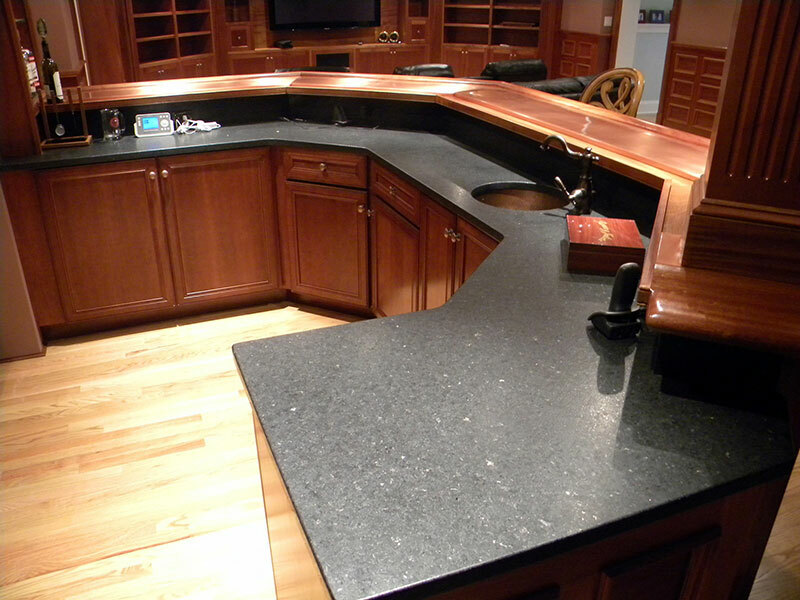 What is Honed Black Granite? Granite goes through a finishing process after it has been cut. At this point, you have a couple of options on how you want the final piece to look. You can choose between a honed and a polished finish. 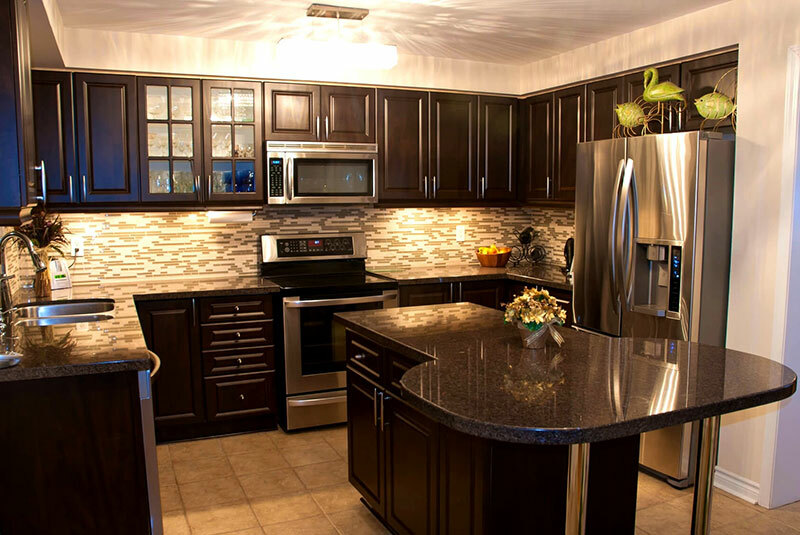 A polished finish is more traditional for granite and has a lot of shine and a sleek appearance. A honed finish, on the other hand, stops the buffing and polishing process before the surface becomes shiny and reflective, leaving a matte or satin finish. This untraditional finish provides a unique aesthetic that looks more casual than polished granite, but it still brings a touch of elegance. Honed granite will have a smooth touch and a comfortable look, but it does have some flaws. 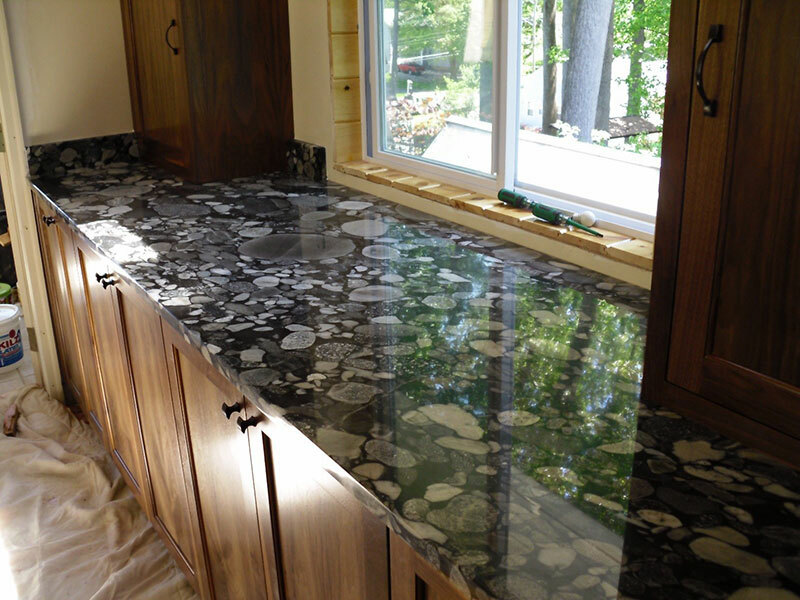 The lack of polish hides some of the inherent characters of the granite, making the colors and textures subtle, but some homeowners would argue that that’s part of the charm. Although it’s actually less processed than polished granite, it actually can cost a little more, as it is not as popular a finish—some warehouses may not have it in supply and require special ordering. The major downside to honed granite is the maintenance. Because of its finish, the surface is still porous and more susceptible to stains and water absorption. To combat this, you’ll need to reseal the surface more frequently than you would a polished surface, preferably several times a year. Small things like dust and fingerprints show easily so be prepared to clean often. What is Polished Black Granite? 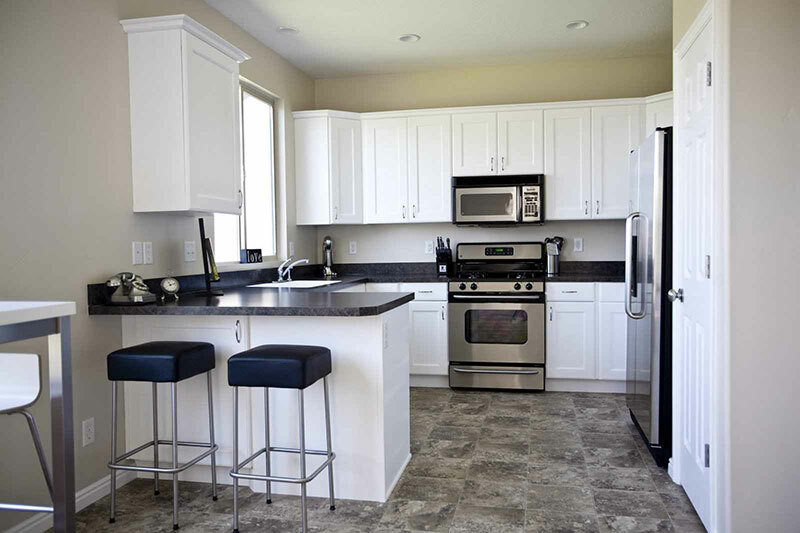 Granite undergoes a finishing process of buffing and polishing, with the most popular finish being a polished look. A polished finish looks almost mirrored and makes a countertop look clean and bright. The polishing process enhances the natural mineral elements of the stone, allowing you to see the sparkle of embedded flakes and crystals. The polishing process naturally helps seal stone pores, making the surface easier to clean and stain-resistant. A polished surface is better for areas of frequent use, as the surface hides daily wear. If properly sealed, you should have very little evidence of wear and tear. Polished black granite provides a strong, classic look and typically costs less than honed granite due to its wide availability. If you’re looking for clean elegance, a polished finish is a timeless choice. What Cabinet Colors Go Well with Black Granite? 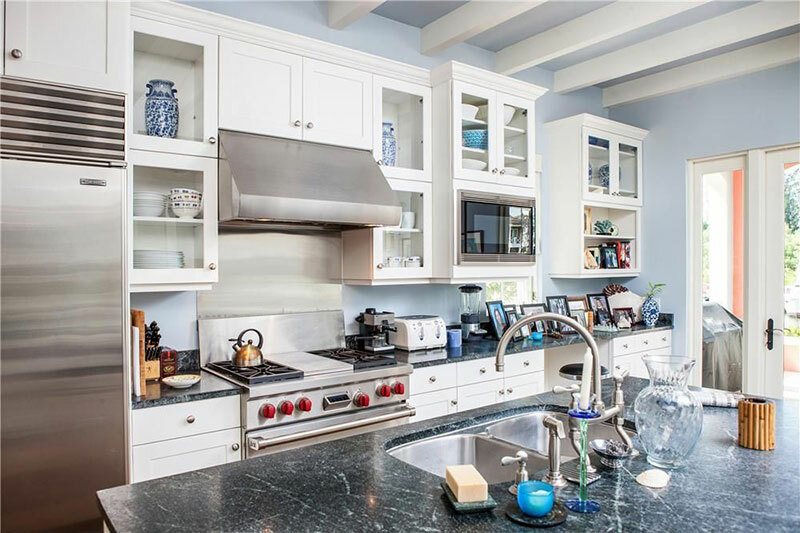 For a classic, monochromatic look, you can’t go wrong with white cabinets and black granite countertops. The countertop becomes the sparkling star of the room while the cabinets create a simple, clean backdrop. Depending on the style and finish of black granite you choose, the lighting in your room can make a big impact. If you have a polished finish, light can bring out the subtle metallic flecks that may be present in the stone. 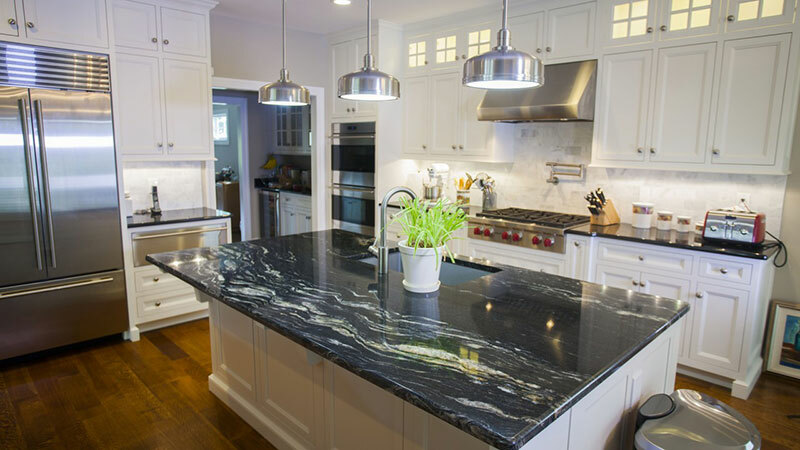 Black granite is highly popular, and prices vary based on the particular type of slab. Some stones cost as little as $20 per square foot, and others are as expensive as $70 per square foot. When comparing prices, it’s important to note that there is usually a separate installation fee; confirm the slab price and installation price—they are generally listed by the cost per square foot. Black Galaxy granite is geologically not actually granite—it’s gabbro. You may also see this marketed as Star Galaxy. There are quite a few quarries in southern India for this stone, and it’s a stunning, beautiful choice for countertops. This stone is almost uniformly black with very small gold and white flecks that give a quiet sparkle when you look closely. From a distance, it almost looks opaque, and the black is satisfyingly rich. When you look closely, you can see the metallic details of the small mineral flecks. We like Black Galaxy for its distinct darkness, but it is highly prone to fingerprints. You’ll spend time every day keeping the surface mirror-sharp, but the effect is worth it. 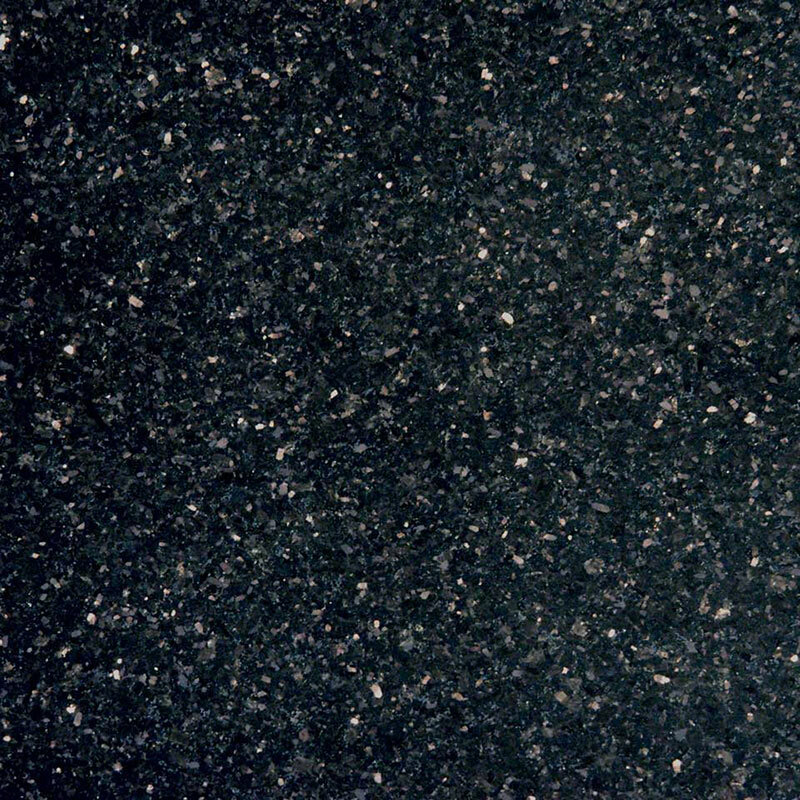 Black Galaxy is one of the most famous black granites on the market and can be a little pricey. Black Pearl granite, sometimes known as Silver Pearl or Black Labrador, is quarried out of India and has a consistent appearance. Black Pearl is a dynamic stone with a flowing, predominantly black pattern. The stone has a very dark base, but there are so many minerals that create a beautiful shimmering effect. You’ll see many shades of silvers and grays that are dynamic in changing lighting conditions. This gives the stone its “pearl” qualities. Make sure you have adequate lighting to get the most out of this feature. There are also notes of darks blues and greens, and even golds and browns, making this a unique choice for a black granite countertop. It will contrast nicely with white cabinets, complement the shimmer of stainless steel and aluminum appliances and hardware, and even stand out against dark cabinets. 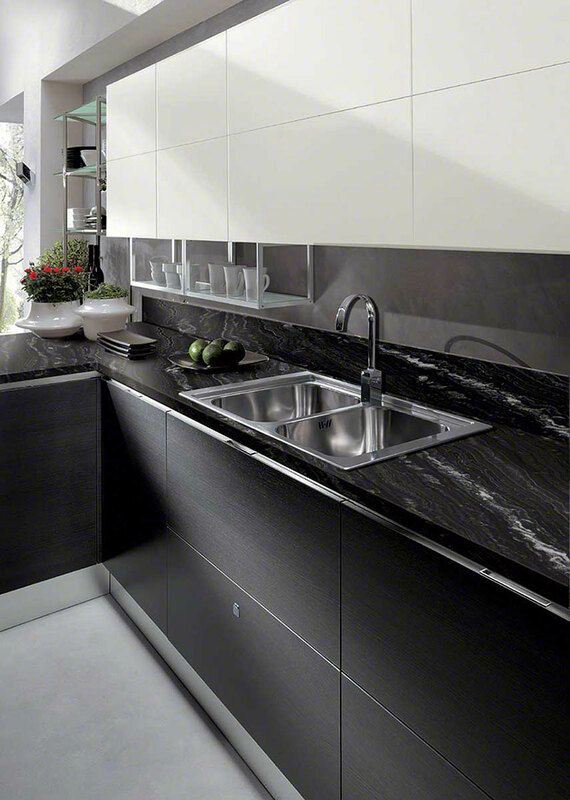 Absolute Black granite, sometimes known as Nero Absolute or Jet Black, is as close to perfect black as you can get. It looks precise, uniform, and nearly flawless, making this a highly popular choice for granite countertops. If you look carefully, you will notice small spots of dark gray minerals, but Absolute Black truly is a rich, deep black that has little comparison. It looks sharp when paired with white cabinets or aluminum or stainless steel appliances. 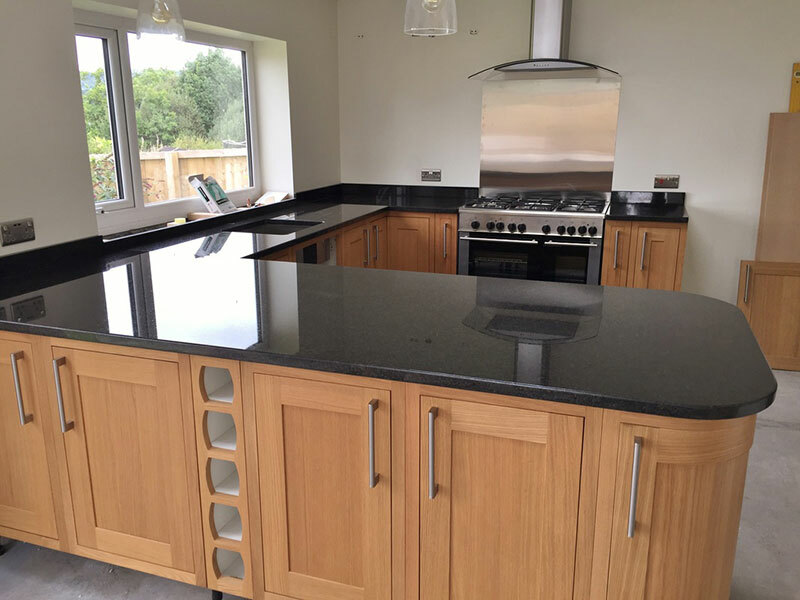 Take special precaution when shopping for Absolute Black granite; due to its popularity, some sellers attempt to sell inferior products that include dyes, which will fade over time. Cosmic Black granite, simply put, looks cool. It has an inky black background with flowing veins of white and silver minerals that lend a swirling appearance. It is scratch resistant and not particularly sensitive to acidic cleaners, but you should still take proper care of your countertop. 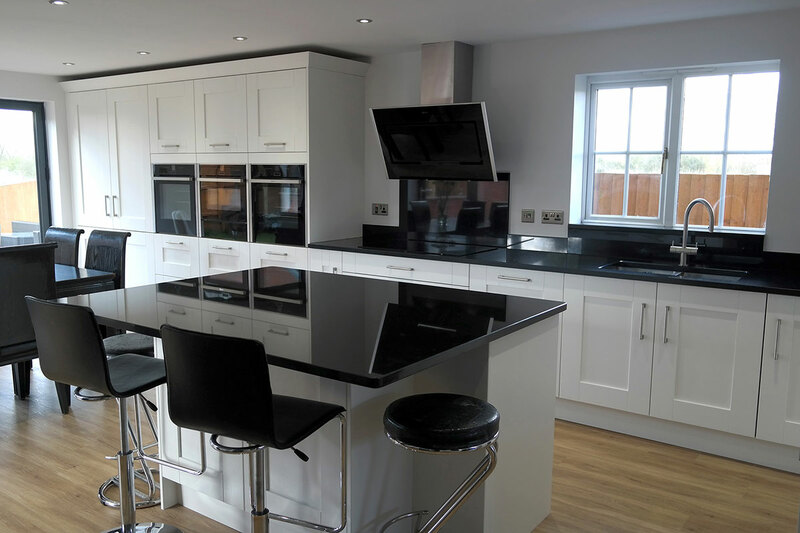 The Silvers and whites that flow through Cosmic Black granite looks almost liquid at times, giving your kitchen or bathroom a unique look. The predominantly black stone will stand strong against white cabinets, but the swirls and sparkle will make the stone stand out even against black cabinets. While it is beautiful, it is also a tad more expensive than other black granites, but you can be assured that it is durable and will last a long time. Like some other black “granite,” Impala Black is technically gabbro stone. Impala Black is sometimes known as Africa Nero Impala or Eagle Black and is quarried in South Africa. The stone is a rich shade of black, but it has enough silver and gray to give an overall lighter appearance than other black granites. The gray hues make Impala Black a particularly nice option to pair with black cabinets, as the lighter tones create enough of a contrast to catch the eye. The stone has low variation so you can expect consistency between the photograph and the real thing. 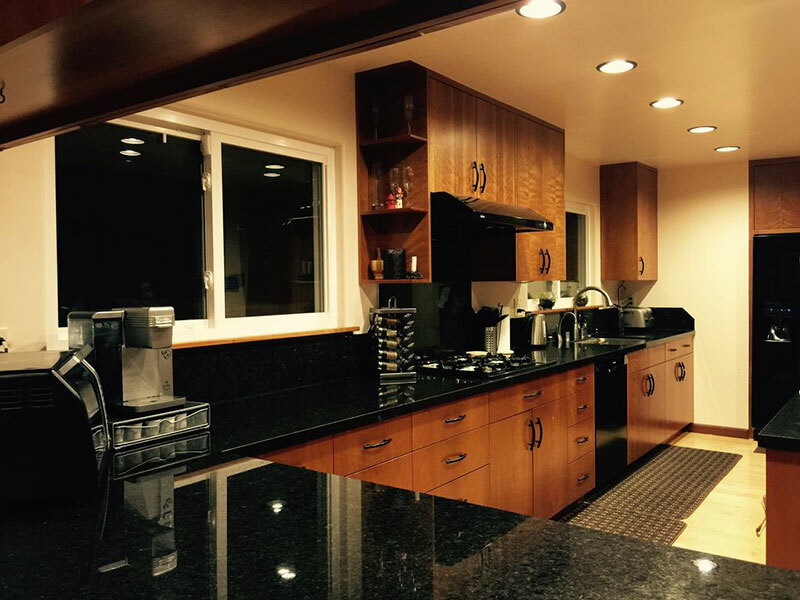 Impala Black is moderately priced and provides an elegant look without appearing “busy,” making it one of the more popular choices for granite countertops. After you see Black Forest granite for the first time, you see why it’s so popular. This stone is quarried in both India and Brazil and is black with dramatic sweeping lines of whites and grays. The Black Forest is sometimes called Nero Foresto or Oscuro Mist. 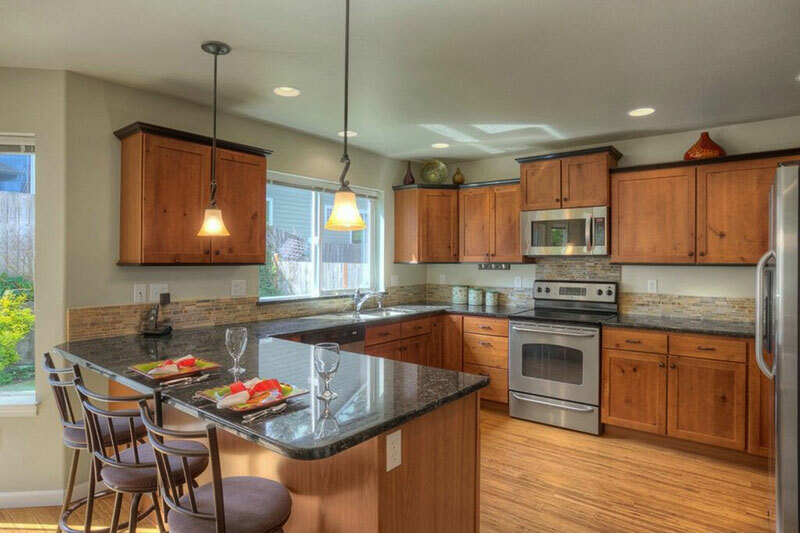 This granite is particularly durable and becomes the center of attention as a countertop. Deep different veins of white actually range in color from ivory to even gold. Either up close or afar, you can’t help but want to look closer at this stone. The Black Forest is versatile in its ability to pair with cabinet colors. Matching the Black Forest with black cabinets creates an intense contemporary look while partnering with white cabinets creates a unique take on a timeless combination. The Black Forest even looks great with cherry stains. 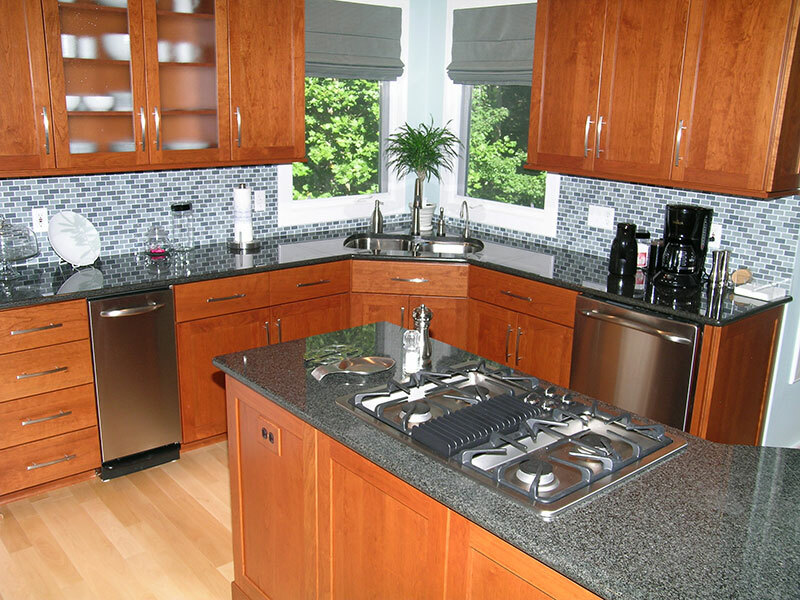 The grey-black granite looks almost crystallized in places, making your countertop stand out from your cabinets. 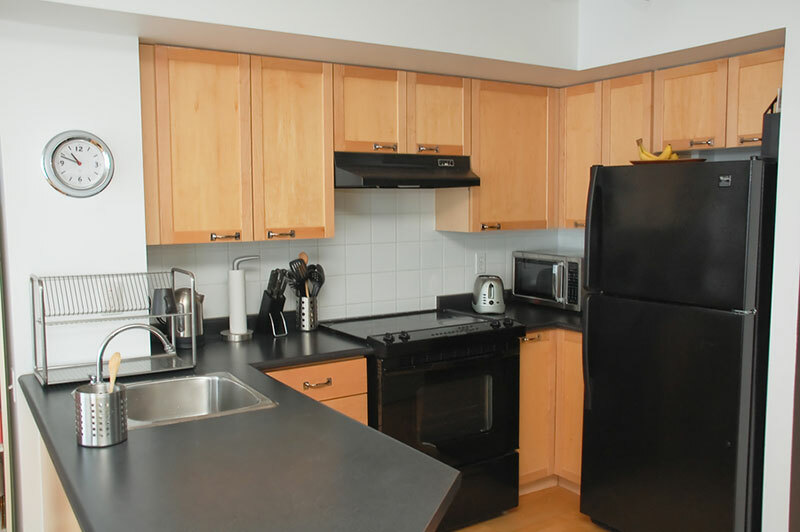 As with all black granite, it pairs naturally with white cabinets for a traditional feel. Cambrian Black will look great with either a polished or a honed surface, but it is moderately expensive due to its popularity. For a unique version of a granite countertop that is sure to become a conversation piece, check out Black Marinace granite. The Bedrock is predominantly black, but there are black, gray, and white river stones embedded within, creating a naturally beautiful pattern. This stone from Brazil, sometimes known as Black Mosaic granite, takes well to a variety of finishes. The flowing patterns will fit with many aesthetics, and when paired with stained wood cabinets, creates a calming, natural feel. However, there is a naturally high degree of variation, so be sure to choose your slab in person before you purchase it. Angola Black granite, quarried from Angola (naturally), is actually a blend of deep grays and blacks, creating an overall dark gray effect. This stone creates a contemporary look when paired with dark browns, but it looks particularly sharp when matched with whites and creams. Like other black granites, it does show fingerprints readily, so you’ll have to clean the surface frequently. It is highly durable, and scratch- and stain-resistant. It has low variability so you can expect and consistent and uniform look. Under certain lighting conditions, you’ll notice medium-grained dark gray minerals, giving your countertop a slightly different look. Agatha Black granite, sometimes known as Agata granite, is quarried from Brazil and has a distinct pattern. A jet-black background gives way to white and gray striations. That said, you’ll want to personally inspect your slab before you buy, as there can be a high amount of variation in pattern. The white and gray patterns look similar to waves of sand, and when applied as a countertop, the granite will become the focal point of the room. 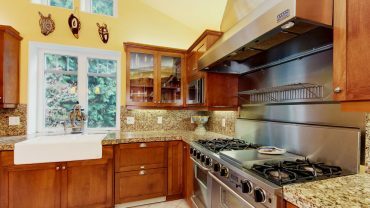 When installed with a polished finish, it creates a luxurious look, especially when partnered with stainless steel appliances. 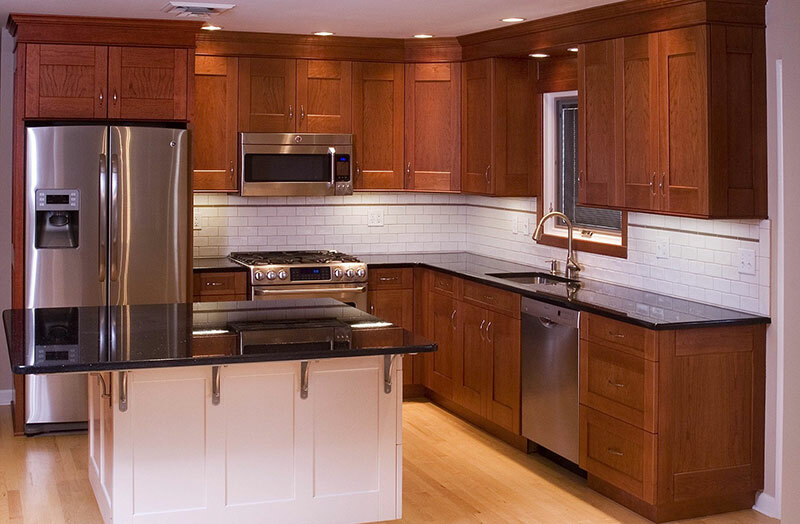 If you’re looking for a black granite that is simply abundantly dark, Nero Mist should be on your list. Nero Mist, sometimes called Brazilian Virginia Mist or Negressco, is a deep, rich black with subtle veins of gray running throughout. When presented with a honed finish, you get a natural look that is both elegant and casual. The best feature about Nero Mist is the texture, which is formed by the soft veins and speckles of gray, giving the stone its “misty” appearance. The color and texture add a unique flavor to the room, making it a favorite choice for black granite countertops. 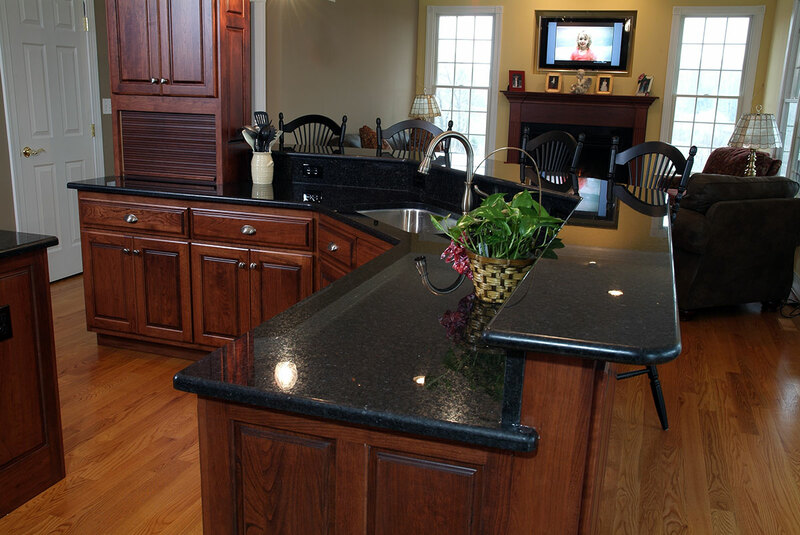 Overall, black granite is durable, versatile, and can be used to create a modern or a traditional look. 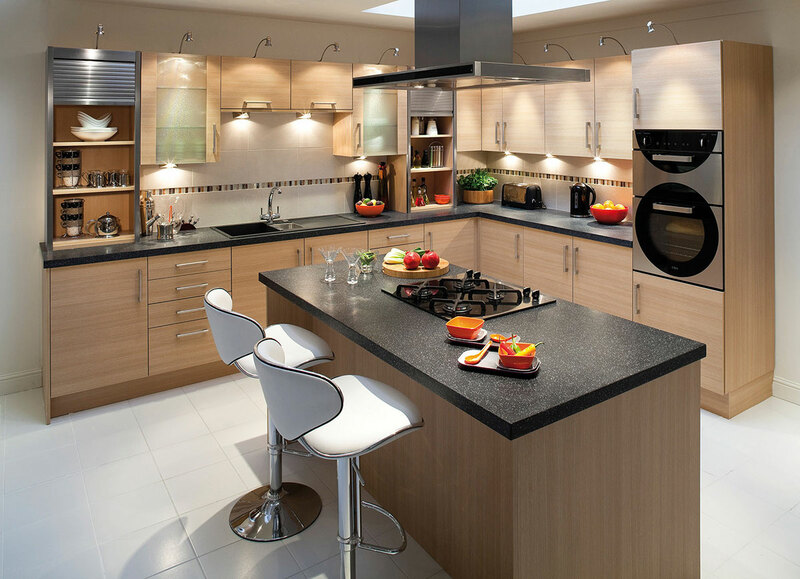 There are many great choices for black granite countertops that will suit your kitchen or bathroom needs.